Most people understand the power of great works of art, and can name the titles of at least a couple of famous paintings or sculptures. Yet this is not the case when it comes to entire exhibitions of art. The celebrity of certain important or controversial exhibitions rarely survives from one decade to the next, and only a handful of these events actually become part of a nation’s history or, more rarely, enter the global imagination. Those that do achieve enduring fame are often seen as influencing the course of contemporary art – like the first Impressionist Exhibition in Paris in 1874, or New York’s notorious Armory Show of 1913, which introduced America to European avant-garde art. 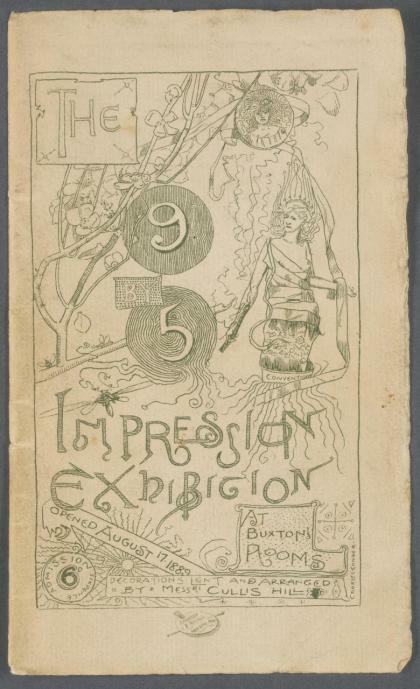 Australia also has its own roll call of ground-breaking art exhibitions, but only one has been acknowledged to be a ‘defining moment in Australian History.’ That honour goes to the 9 by 5 Impression Exhibition of 1889. As the title of the exhibition makes clear, the works of art on display were inspired by the new movement known as ‘Impressionism’, which at that time was a term associated with various forms of plein air (or outdoor) painting. The nascent Australian ‘Impressionists’ were led by Tom Roberts who was most familiar with the British version of the movement, associated with the Anglo-American artist, James McNeill Whistler and his followers. In the winter of 1889, Roberts and his young friends, Arthur Streeton and Charles Conder, determined to present an exhibition of ‘Impressions’ in Melbourne at Buxton’s Rooms in Swanston Street, a prominent venue located opposite the Town Hall. When developing this plan, the artists were clearly influenced by Whistler, whose London exhibitions were renowned for being conceived as ‘total works of art’. Whistler coordinated every aspect, from the harmonious décor and framing of the works, to the specially designed catalogues, and all these features were adopted in the 9 by 5 Impression Exhibition. At Buxton’s, these small works of art were strikingly displayed in wide timber frames, many of them stained, or embellished with metallic paint or decoration. The room itself was elegantly furnished in the Aesthetic style with silk draperies and Japanese accessories creating what one contemporary described as ‘a most harmonious arrangement of colour’. Whistler’s flair for publicity was also copied – a series of articles and press interviews tantalised Melbourne’s public with promises that at last it would ‘have an opportunity of judging for itself what Impressionism truly is’. Perhaps the clearest statement of the artists’ shared vision was the uniform scale of the paintings themselves. 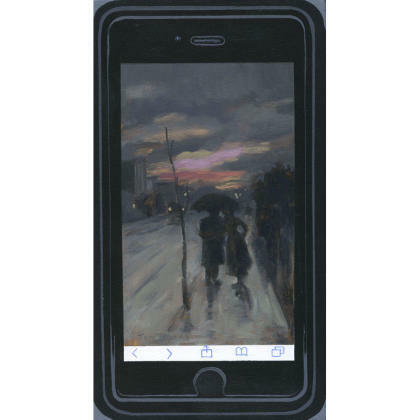 The ‘9 by 5’ inch (23 x 13 cm) dimensions of the majority of the works reaffirmed the artists’ commitment to the immediacy and truth of outdoor sketching. The fact that many of the panels were cigar box lids sourced from friendly tobacconists only added to the bohemian aura of the exhibition. When the much-anticipated opening finally arrived on 17 August 1889, Melbourne society flocked to Buxton’s, hoping to be amazed, intrigued or outraged. Even a virulent review by a leading Melbourne critic only heightened the attention; the artists immediately pinned it to the exhibition’s door, which resulted in more ‘people throng[ing] … to see the dreadful paintings’. But this artist-led group show was more than a self-consciously controversial presentation of small-scale oil sketches in a fashionably aesthetic setting. Instead it celebrated the local artists’ contribution to an international artistic avant-garde – the catalogue even featured a manifesto-like statement addressed ‘To the Public’. The exhibition’s challenge to convention offered a fresh direction for Australian art – one that rejected ‘safe mediocrity’. Over the following decades, the fame of the 9 by 5 Impression Exhibition steadily grew, and today it features in all standard histories of Australian art. In fact, every major exhibition of Australia’s Impressionist movement – from Golden Summers: Heidelberg and Beyond (NGV, 1985) to Australian Impressionism (NGV 2007), and most recently Australia’s Impressionists (NG London, 2016) - has included evocations of the original 9 by 5 display. Furthermore, generations of contemporary artists have been inspired by the legendary show to produce their own iterations – not in style but in ethos - by adopting the 9 x 5 inch dimensions for a group exhibition. The most ambitious and remarkable of these reincarnations of the 9 by 5 spirit is opening in Melbourne this week at the Victorian College of the Arts’ Margaret Lawrence Gallery with 9 x 5 NOW, part of the celebrations of the College’s 150th anniversary. 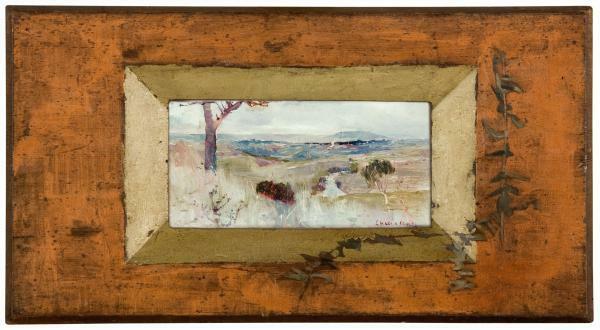 The concept for this current exhibition draws upon the fact that all seven artists in the original 9 by 5 show - Tom Roberts, Arthur Streeton, Charles Conder, Frederick McCubbin, C. Douglas Richardson, R. E. Falls and Herbert Daly - were former or current students of the National Gallery School, the precursor of the modern day VCA. Moreover, Louis Abrahams, another former student, supplied the 9 x 5 inch cedar cigar box lids on which the works were painted, while McCubbin went on to become an influential staff member. This direct connection between the 9 by 5 exhibition and the VCA makes it the perfect theme to bring together the work of several generations of practicing artists who have studied or taught at the National Gallery School/VCA. In fact, the most experienced artist to be participating in 9 x 5 NOW attended the National Gallery School in the 1940s, while the youngest graduated from their VCA studies in 2016. The curator of the current exhibition, Elizabeth Gower, has described the response of the artists as ‘overwhelmingly enthusiastic’. And like the original exhibition, the works of art in 9 x 5 NOW are for sale, with the proceeds being used to fund a new scholarship for VCA student artists and recent graduates. Unlike the original exhibition’s focus on painting and sculpture, however, the current one showcases a range of contemporary approaches including photography, drawing, textile and cross-media practices. Nevertheless, over three hundred artists have all contributed a work that is no larger than 9 x 5 inches – each having been supplied with a plywood board of those dimensions. 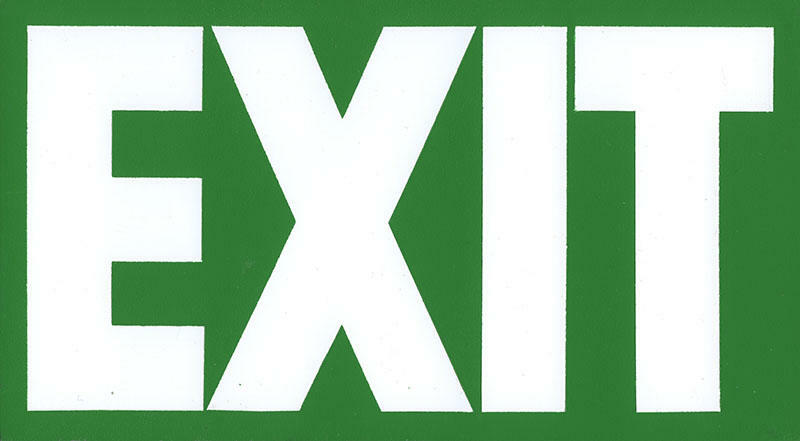 Some of the works make witty allusions to the original 1889 display (such as Stephen Haley’s Virtual Flaneur (Coming Home), or the small rectangular format (Peter Burke’s Exit), while others provide ingenious reflections on their own practice in miniature (Lou Hubbard’s Sandbank), or responses to contemporary life (Kate Just’s Grab This). 9 x 5 NOW is a testament to the enduring legacy of a single exhibition. The 9 by 5 Impression Exhibition may have been made up of very small pictures, but they cast a long shadow. 9 x 5 NOW runs from 16-25 June at Margaret Lawrence Gallery, Victorian College of the Arts 40 Dodds Street, Southbank, 12-5pm daily. The Exhibition is accompanied by a symposium on the early years of the National Gallery School on 21 June 2017, with a keynote lecture on the 9 by 5 Impression Exhibition by Terence Lane. 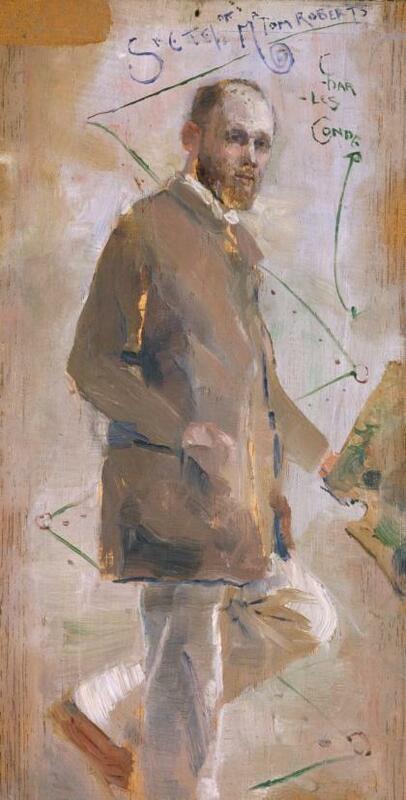 Banner: AGNSW Collection The National Game, by Arthur Streeton, 1889.